With the pressure of getting through matric and completing portfolios, all too often school leavers leave enrolling for university or college too late. Of course for some, it is simply a problem of not knowing what career to enrol for! And unfortunately for others, results may not be high enough to open doors to the career of their first choice. “We firmly believe that tertiary studies is the best option for school leavers. Even for those taking a gap year, a short skills course will assist you to earn some cash while studying or working part-time”, says Kerry Damons, Marketing Manager of Boston City Campus & Business College”. Short skills courses are extremely popular with many people – they aid in building on an existing career or CV, they add skills so that you can move horizontally in a company, and they equip learners to begin employment while they carry on with studies or travels. so a computer course may be ideal to enter any job sector. Short courses are able to equip these students with very useable, employable skills that are in demand or needed in the market. Boston City Campus & Business College offers over 80 full career programmes, which can be studied part time or full time if you choose. These are made up of modules, and this is one way in which you can gain “building blocks” to a career or full programme. Boston also offers the opportunity to register for a study programme of your choice in June, including the Boston B.Com Management Marketing degree which you can start for the first time in July. ‘These are quality courses, ranging from a learning programme to diploma or degree and focussed on a particular specialisation. They are industry recognised and offer value for money,’ says Ari Katz, CEO of Boston. Boston offers both working professionals and school leavers a variety of study options across a wide range of careers including IT/Computers, Accounting, Marketing, Sports Administration, Management, Media, Tourism and Boston Degrees. It also offers, UNISA Degree Support. Individuals who are interested should visit their nearest Boston branch to complete a free computerised career compass assessment with a career counsellor in order to help them select the best possible field of study. Katz also emphasises that Boston offers various payment options in order to assist students to find the most convenient way of paying for their studies. 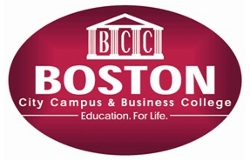 Boston City Campus & Business College offers over 80 dynamic career courses at over 40 branches nationwide. Unisa degrees & media studies are also available at selected branches.